Samsung will host a $800,000 contest for developers that build apps for the Galaxy S4 using the company's peer-to-peer software interface. The South Korean company said Monday entrants in its "Smart App Challenge 2013" must make use of the Samsung Chord SDK (software development kit). Chord is a software interface for creating wireless connections directly between Samsung smartphones, without the use of an online server or mobile phone network. Samsung is marketing its peer-to-peer technology to end users as "Group Play," a service for multiplayer games or sharing music and photos among users of its phones and tablets. The company is the world's largest smartphone manufacturer but relies on Google's Android ecosystem for the bulk of its online offerings and apps, most of which also run on rival phones. The company said apps in the contest will be judged on categories such as uniqueness, commercial potential, and design. Apps must be entered for consideration from June 20 to Aug. 31, and the judging will run through November. In addition to the use of Chord, entries must be sold on the "Samsung Apps" marketplace and use Samsung's application programming interfaces (APIs) for in-app purchases and displaying advertisements. The contest will have 10 overall winners, awarding $200,000 to one first-place winner, $100,000 each to three second-place winners, and $50,000 each to six developers that come in third. Winning apps will also be candidates for investments from Samsung's venture arm and be promoted through the company's online properties and press events. This will be the second year for the contest. Last year's competition, for the larger Galaxy Note and Tab devices, was won by the "Gun & Blood" app, a shoot-em-up marketed by developer Feelingtouch with the description "Listen up man, it is time to kill all terrorists." Chord is a Java-based API that attempts to make it easier for developers to implement the various aspects of peer-to-peer applications, including discovering nearby devices, messaging and file transfer. 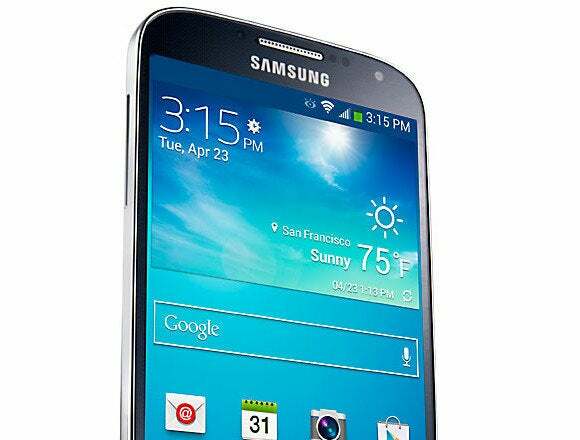 The Samsung Galaxy S4 is a stellar Android phone held back by boring design and half-baked features.